Washington, March 21: Donald Trump has prioritised peace efforts in Afghanistan and his special envoy has initiated direct talks with the Taliban, but the US President will not accept a "bad deal" on efforts to end America's longest war, the White House has said. According to a senior Trump administration official, America has "contingency" plans, which might involve "military options" if the peace talks fail to yield desired results. As part of his efforts to garner international support for ongoing peace talks with the Taliban, US special envoy for Afghanistan Zalmay Khalilzad will hold talks with counterparts from Russia, China and the European Union on Thursday and Friday. Khalilzad has held three round of talks with the Afghan Taliban in order to reach a settlement that would allow the US to withdraw its army and end the 17-year-old Afghan war, America's longest. "We are certainly prioritising peace efforts in Afghanistan. But as with all negotiations that involve vital US national security interests, we have contingency plans. The president has indicated he hopes for the best in these peace talks, but he will also not accept a bad deal," the official told reporters at the White House on Wednesday. The official explained that the US was hoping for the success with the peace process. Donald Trump Urges Pakistan to Support Afghanistan Peace Talks. "But it's not the only route that we are looking at in terms of protecting vital US national security interests in Afghanistan," the official said. The contingencies being talked about might involve "military options", the official said. Noting that the US still faces terrorist threats in Afghanistan, the official said America will continue to do what is necessary to protect its interests. The US has a lot of options, the official said, adding that while no decision has been taken on withdrawal of troops, president Trump would like to bring the troops back. Vladimir Putin's Envoy in Pakistan to Discuss Afghanistan Peace Process. "He also recognises that we have vital terrorism interests in Afghanistan and he certainly is focused on keeping American safe. So we will do what we have to do to ensure those vital national security interests are protected," the official said. The Trump administration, also recognises that for "any peace agreement to be sustainable the Taliban would have to sit down with the Afghan government" and other Afghan stakeholders to discuss political way forward, the official said. The US will not sacrifice the key gains of the last 18 years, including on human rights, particularly women's rights, at the negotiating table, said the official who spoke on the condition of anonymity. "We won't sacrifice those gains," the official insisted. Khalilzad is working hard to establish an inter-Afghan dialogue with the Taliban, sitting down with the government officials and other stakeholders, the official said. The top American diplomat believes that he is getting closer to that goal, the official noted. 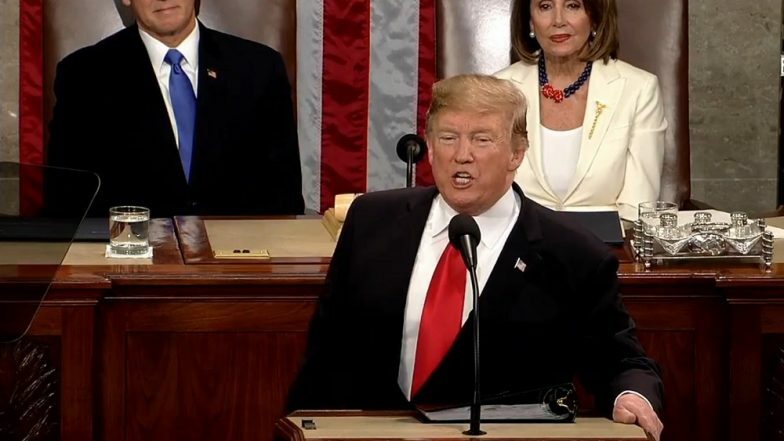 Referring to the State of the Union Address by President Trump early this year, the official said as the US makes progress in the negotiations, America would be able to look at reducing its troop presence and focusing more on counterterrorism mission. "The president said he didn't know if we would be successful in these negotiations, but it was certainly worth trying," the official said. Last week, the White House cancelled the meeting of its National Security Council with Afghan National Security Advisor Hamdullah Mohib, who launched a personal attack against Khalilzad. Responding to questions on outburst by Mohib against Khalilzad, which has resulted in tension between US and Afghanistan, the official said the administration has strong objection to the personal attacks by the Afghan national security advisor. The official, however, said that the issue was not going to affect the strong bilateral ties between the US and Afghanistan. "We deeply value this relationship. We are fighting shoulder to shoulder on the battleground with Afghan security forces, we are working to stabilise the country and defeat terrorists' threats there together," the official said. "But, they are a reflection of the Afghan frustration that they're not in room in these talks between the US and the Taliban. So it's, urgent that we convince the Taliban to sit down with the Afghan government and other Afghans and engage in a political process," the official said. The official reiterated that any settlement simply won't be sustainable unless the Taliban agrees to sit down with other Afghan stakeholders and work out a political settlement. "The Taliban must sit down with the Afghan government as well as other Afghans to work these issues out. I think it pointed up the need to put urgency on that aspect of the peace process," the official said. The White House official asserted that the US will be consulting closely with the Afghan government in with regard to the peace talks with the Taliban. "We can look at ways to improve the communication between our two governments," the official said, adding that the US will be looking at ways to enhance its coordination and cooperation moving forward.